As I continued to learn more and more about construction I learned even more about LEADERSHIP. In high school I was very active in the National FFA Organization (www.ffa.org) and I was very inspired by their mission statement: The National FFA Organization is dedicated to making a positive difference in the lives of students by developing their potential for premier leadership, personal growth, and career success through agricultural education. The FFA is where I learned how to confidently speak in front of a large group of people and where I experienced the results of effective teamwork. My experience in the construction industry took everything to the next level, teaching me that true leadership is defined by how well you serve others. 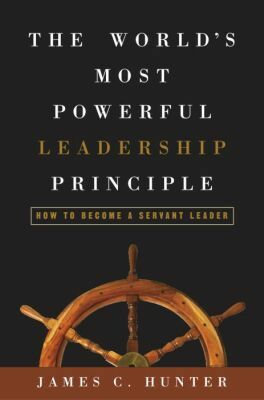 The book pictured above teaches timeless principles of servant leadership. If you haven’t read this book before please take the time and do so – it will take you on a journey and build the foundation for your development as a leader.